The Prostate Cancer Foundation (PCF) and Sanofi (manufacturers of docetaxel and cabazitaxel) have initiated a new, one-way, text message-based support program called Prost8Care for men with advanced prostate cancer who live in the USA and who are receiving chemotherapy as part of their treatment. Alternatively, text messages can be sent to a patient’s caregiver. Additional information about the Prost8Care system can be found on the PCF web site. Each patient (or his caregiver) must sign up individually to join the program. There is no fee to enroll in the program, but standard text message and data rates may apply depending on specific mobile service rates contracts and providers. The program is based on the delivery of text messages to cell phones or other mobile devices (iPad, Blackberry, etc.) that are timed to coincide with their chemotherapy treatment cycles. The goal is to inform, encourage, and educate chemotherapy patients over a maximum 12-week time frame as they undergo chemotherapy and may have to deal with the side effects associated with this type of treatment. Specific text messages may contain guidance related to items such as: management of fatigue; minimizing risks of infection; food and diet; and facilitating productive conversations with the patient’s medical providers throughout the course of their treatment. According to Mobile Health — the company that has developed this service on behalf of PCF and Sanofi — about 95 percent of Americans with chronic diseases now have access to texting and are capable of receiving text messages, which is why they believe that this system may be an effective way to deliver useful information to these patients. Please note that this is a one-way service. It will not be possible for patients to text the service provider with questions or specific issues after signing up. 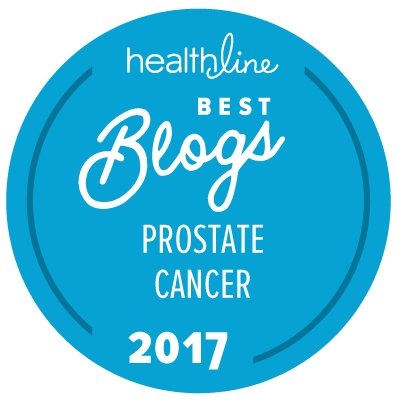 The “New” Prostate Cancer InfoLink would, however, be interested in hearing feedback from readers about the value of this service if any of its readers decide to enroll. Please leave comments and feedback below — both positive and negative, as appropriate.